You can't see them, but we know they exist: not ghosts, but rather cyclamen mites infesting these Echeveria. They can be found around the leaf bases where conditions are much more humid and protected. Feeding damage to the growing points caused the bronzing and stunting, which I initially thought due to broad mite. 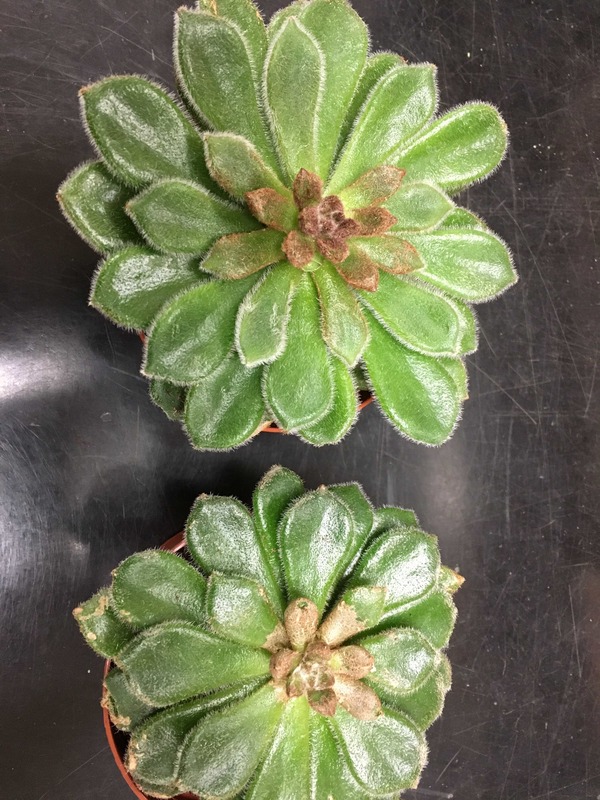 With the growing popularity of succulents comes a corresponding increase in pest-related inquiries, like solenopsis mealybug, root aphids (we still don't know the species), and other kinds of pests. The tight crevices where these mites are hiding appear impossible for predator mites to reach, so I suggested a miticide might be in order, possibly with a wetting agent to reduce surface tension and improve coverage in these hard-to-reach spots. Miticides for cyclamen mite include Avid (or generic, or Sirocco), Akari, Pylon, Savate (formerly Judo), or Kontos. Treat the infested plants (fortunately just a small number were affected in this case) plus a few healthy ones and watch for any negative symptoms of sensitivity, as one would for any unfamiliar crop. Lacking experience with these new crops, we're considering phytotoxicity investigations to confirm effective controls (and adjuvants) are also safe for the plants. 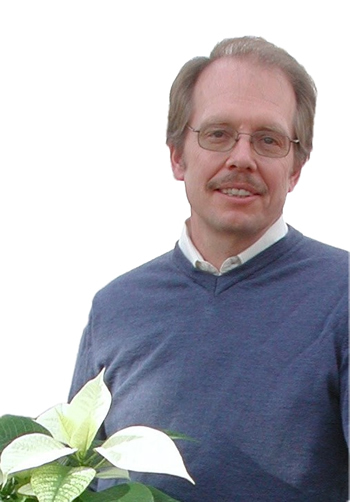 Dan Gilrein is the Extension Entomologist with Cornell Cooperative Extension of Suffolk County at the Long Island Horticultural Research and Extension Center, Riverhead, NY since 1995 and previously served there as IPM Specialist with Cornell from 1987. In his current position he conducts applied research on control of arthropod pests in food crops and on ornamental plants, provides diagnostic services to the horticultural industries, and conducts educational programs and presentations for industry, government officials, civic groups and the public on pests and pest management.